One by one, men whose jobs seem secure at the Massachusetts transportation firm GTX discover their employment may be at risk, or has actually been terminated. Top salesperson Bobby Walker (Ben Affleck) drives a Porsche and pulls in around $160,000 a year, with bonuses; he’s happily married to his wife Maggie (Rosemarie DeWitt) and has two kids. Phil Woodward (Chris Cooper) has been with the company for decades starting as a blue-collar worker on the industry floor; he nervously looks to his friend, the company’s second-in-command, Gene McClary (Tommy Lee Jones), for security. But no matter how much they earn the company or how much time they’ve put in, when the GTX head (Craig T. Nelson) feels he needs to breed more confidence in his board or the stockholders, cuts are made, leaving thousands unemployed. 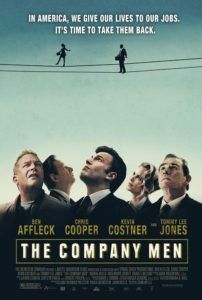 On the poster for The Company Men, ex-businessmen look up at two of their own walking the merciless tightrope of modern commerce. The image (almost identical to the poster for David Mamet’s Glengarry Glen Ross, a more potent play and film on the same subject) suggests a more dynamic film that the one delivered by writer-director John Wells, the first-time filmmaker and longtime television executive producer (of ER and The West Wing). 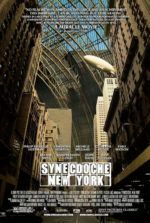 Despite delivering a film that could be called simple and at times forced in its dramatic architecture, Wells explores themes relevant to everyone in America. No one will come out of the film without thinking of someone they know who’s been affected in the same way as the characters onscreen. Moving at a temperate pace and taking its time with each character, Wells captures the reality of being downsized, from accepting that you’re no longer the hotshot you thought you were to hitting rock bottom. Bobby remains in denial, certain that he’ll find a new position within days of losing his job. As the months go by and the collection calls begin, hanging drywall with his working-class brother-in-law (Kevin Costner) suddenly becomes a necessity. Phil loses himself in drink and despair: “My life ended and nobody noticed” he confesses. Or there’s Gene, who’s safe financially but disillusioned by the direction of his country and former company that used to produce something, but now seek only to make money by shifting numbers and examining spreadsheets. Wells directs with all the flavor of a great television drama, complete with music that cues the audience when to feel, yet without much cinematic flourish. His impressive cast gives predictable performances (Affleck as the likable leading man; Jones as the hard veteran with the soft underbelly; Cooper as the disgruntled former employee; Costner as the working man’s carpenter), though each actor fits their role. 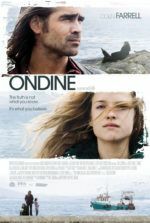 Its safeness aside, the film carries an important topical, consumable message that an audience won’t be able to ignore. In the end, Wells offers a solution to viewers who may be in the same situation as the film’s characters: Make your own success, and preferably in an industry whose outcome results in something tangible. America was founded on pioneers who stake their own claim in the world by building something, and somewhere along the way those values have been lost. Having opened in New York and Los Angeles just before the end of 2010 to make the year-end Oscar race, The Company Men will move those who see it, but knowing what it’s about, some people might avoid it—the subject matter is frankly very close to home, unless you and yours have somehow gone miraculously unscathed by the current recession. It may not earn any awards, but the result is noble. It attempts to slap the American Dream in the face for suggesting that we are and will forever remain the financial superpower of the world. The film shows that financial investors weren’t the only ones digging themselves into a deep hole; the average American had the same blind aspirations as the big shots, and we were ultimately subject to the same consequences. Just like Up in the Air did last year (but with more humor and cinematic wit), Wells puts a human face on a national problem, and achieves fine drama in the process.